Uh....... So we're going to get a mobage under the iDOLM@STER label about producing male idols. Totally excited that this is finally happening. Any news about it? I'm just wondering what took them so long to make this. I know quite a number of people were asking for a game like this for a while now. Don't you just love when games are leaked onto online stores before they're announced? I think Sonic Adventure 2 on 360 and PS3 had the same dilemma. X)! I'm a little concerned honestly, I don't really like the fact that we're having a third mobile game under the iM@S label out there (I already didn't like having two), and I wonder if Namco is doing this only because they feel threatened by Ameba's "Boyfriend" and need to take a slice of that market. That's my beef with it as well... But as long as the mainstream iM@S is still receiving content, I'm not too worried. I'll get iffy around the mobile adaptions when they start meaning less console and handheld releases. -What agency is gonna be represented? Is it gonna be 765Pro again or a brand new agency? Can't be 961Pro, since Jupiter defected from that agency back in 2 and the anime. I say this because Touma is right there as the sort of poster boy for the game. -Will it be like Million Live where the game's roster is static or will there be constant new characters added like in Cinderella Girls? Also, will every character have a voice by default or will they have to earn a voice through sheer popularity? -Will Ryo be in this game in any way, shape, or form!? Won't be surprised if it's like CG in the sense that the idols aren't affiliated to a canonical production, but instead belong to the player-owned studios who then join up to form player-made productions. 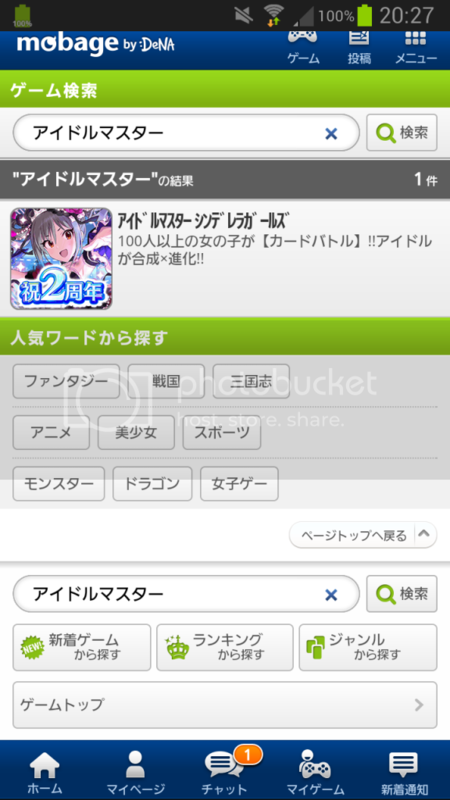 I honestly thought it was 765Pro, since the original 13 idols from 2 are in the game as obtainable cards in Cinderella Girls that are updated once in a blue moon. I heard of requests back when around the first game and Live For You were out. i think people wanted a completely separate game where you produce boys, not a group of a**holes who stomp on your self-esteem every chance they get. Disclaimer: I like Jupiter, but even I call out when characters are being dicks. Oh my GOD! I am so excited for this! It's only a mobile game but it's a start!